Piles of garbage and contamination have accumulated on Earth to the point that life has disappeared. Humans have abandoned the planet, and for a lonely 700 years a single robot has been doing what he was designed to do: compact and stack the trash. But what would you do if, after hundreds of years, you looked beyond your programming to discover how far love can take you? Join us for our last Finally Friday: Where Science Meets the Cinema selection for 2018 as we celebrate the 10th anniversary of one of the most beloved Pixar films: WALL-E. We’ll host Alan Rich, a NASA-Jet Propulsion Laboratory (JPL) Solar System Ambassador, to help us separate the facts from the fiction following the screening. Don’t miss it! Check out the upcoming movies and learn more about the Finally Friday: Where Science meets the Cinema. 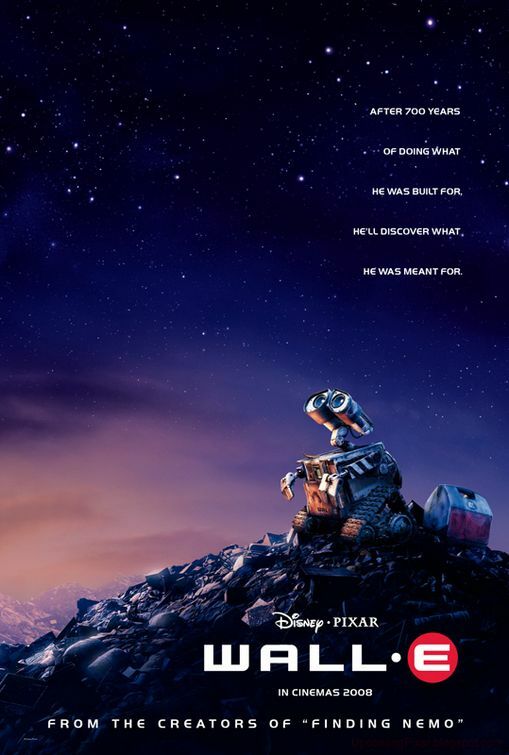 WALL-E is set in the not too distant future, where humans have abandoned Earth due to the accumulation of garbage. The only known inhabitants remaining are a robot named WALL-E (short for Waste Allocation Load Lifter Earth – Class) and his pet cockroach Hal. But everything changes when another robot called EVE arrives on a mission that could bring humankind back to Earth. How many times have you used electricity today? Probably too many times to count, but most of the time, we don’t even think about it! Explore the invisible science of electricity and circuits, and create your own light-up paper circuit art to take home! Let’s do chemistry and make a “voltaic pile” battery, transforming the chemical energy into electrical energy! Learn how batteries work and how materials behave, change, and interact by building your own simple battery out of metal and felt washers. Witness the most awesome visualization of “Exoplanets” and discover how they can explain the meaning of conservation and the consequences of planet destruction. Hot off the press! A new and super-cute button from our movie collection has been released. Numbers are limited, so get one fast before they disappear! Hal the roach is Wall-E’s trusty sidekick. Come hang out and learn more about roaches with the Arthropod Zoo’s own companions. What should you do if you notice your favorite outdoor space is totally trashed? Clean it up! What you do with your “trash” can make a big difference, so use your time wisely as you sort the trash into different bins in our “Waste Race”! To study plants, people not only grew them but also did a lot of experiments, learning many interesting things about plants along the way. Experiments are a fun way to look for an answer to a question or to test an idea. Are experiments only for adults? Not at all! Kids like you have a lot of questions (don’t we all?) and you may be surprised to find out that you are more than able to answer many of the questions by yourself or together with friends and parents! The experiments described in this website/brochure can help you design and perform real experiments. They will help you learn about how plants grow. And the best thing about these experiments is that they are practically free. Learn how compost adds the necessary nutrients needed to keep our precious soil from turning into dirt! 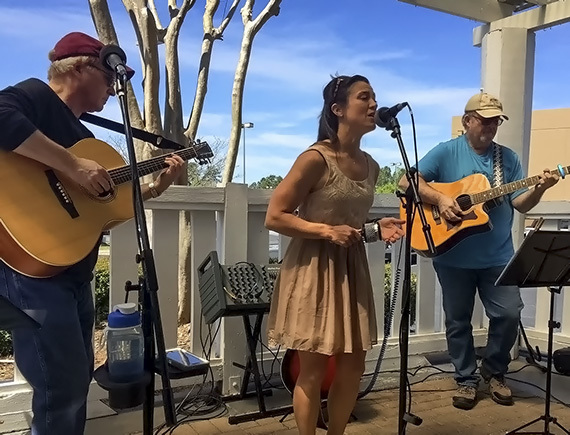 Loos Change is an acoustic trio based in Raleigh that plays a wide range of material from the 1960s to today. From the British Invasion to Americana, classic country, R&B, and pure pop, Loos Change has something for everybody. Don’t miss them at this month’s Finally Friday event! This Finally Friday event enjoy Beef Hot Dogs with chili, Beef Tacos, and a Quinoa and Avocado Salad. And don’t miss our selection of wine and craft beers!